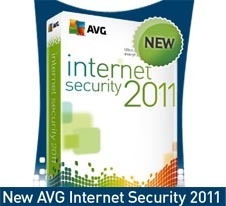 AVG has released a new version that it says accomplishes all three: faster scans, easier to use, better performance. 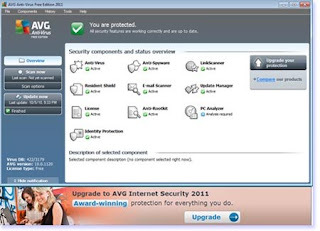 The program is ready for use about 5 minutes after its downloaded, with a contributing factor, it has reduced the number of install screens, what users see, from 13 to 5 from previous to 2011 version. AVG interface has little minor change than with improved usability quite a bit. Advanced settings are available under Tools on the menu bar at the top of the window. 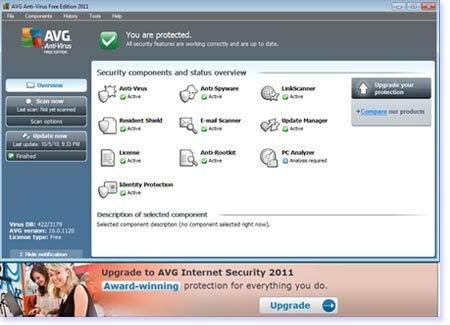 AVG has placed icons for its security components in a central pane, for those who new to its interface. • a notice below the link stating that it's been evaluated by AVG.